The Fenix Ruike P841-L meets the demands of outdoor lovers and knife users. 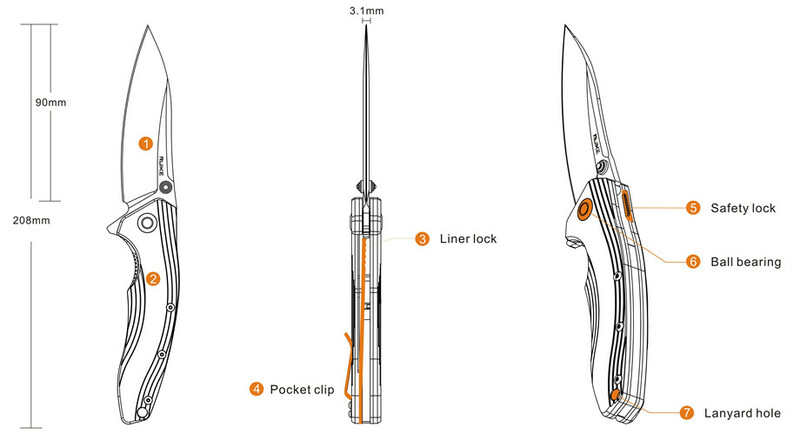 Besides flipper, the knife is fitted with a thumb-stud in each side of the blade, it is ambidextrous for both hands. In addition, the ball bearing pivot makes the blade deployment more smooth. The locking mechanism, which consists of a stainless steel liner lock and a back safety lock, is highly reliable for blade fixing. The 3.5-inch long blade offers a fine tapered tip to pierce and a long blade point to slice. For secure-grip, the G10 handle is properly textured and contoured.